A group of pensioners embark on a crime spree. Golden Years strikes a fine balance between comedy and pathos, but all ages will be rooting for these feisty old folks and cheering them on in their exploits. It’s one of those rare animals, a truly feel-good movie with a sobering message. Golden Years is a heist caper offering some gentle but rich comedy; however, it is a comedy that makes an important point – how, as a civilized society, do we view and treat our old folks? 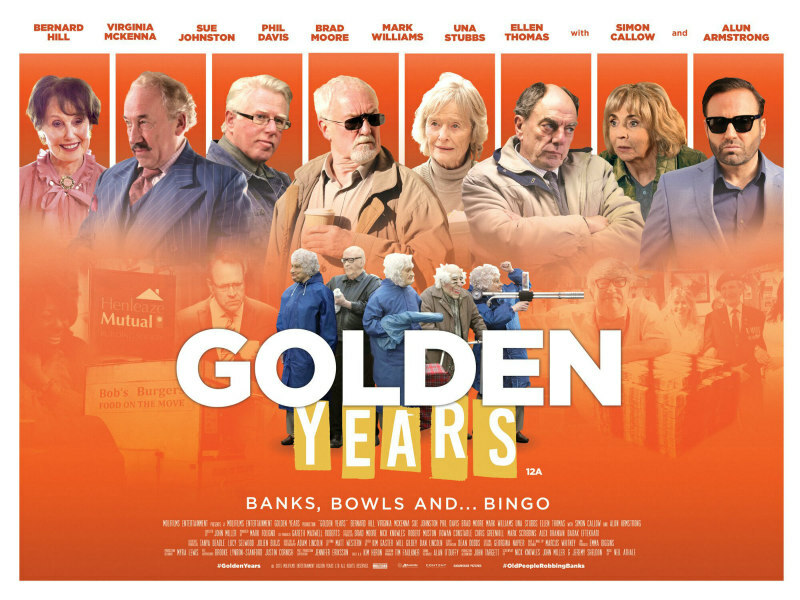 Golden Years takes a look at the events that ensue when the financial crisis, political indifference, the greed of bankers and the manifold injustices and lack of respect for old age contrive to force law abiding, retired couple, Arthur and Martha Goode (Bernard Hill and Virginia McKenna) into a life of crime. Refusing to take the loss of their pensions lying down and to disappear passively into their declining years, the couple decide to take back what they see as rightfully theirs. After an accidental occurrence and a near tragedy they are spurred onto a path that leads to a bank robbing spree. Then, with their Bowls Club - a social lifeline for the local old people - about to be auctioned off to developers, they are joined in their life of crime by their close friends and associates. The Bristol police are flummoxed, although one flashy cop modelling himself on his TV heroes, sees the bank robbing case as an opportunity to outdo and oust his elderly, more experienced superior. Needless to say, the old folks lead them all on a merry dance before a resolution is reached. Golden Years offers us the pleasure of witnessing a special group of actors at work. Seasoned veterans of movies and television such as Bernard Hill, Virginia McKenna, Sue Johnston, Alun Armstrong, Simon Callow, Una Stubbs, Mark Williams and Phil Davis, all lend their considerable talents. 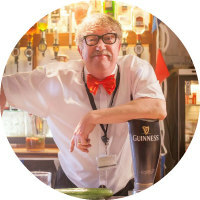 Golden Years is a quintessentially British piece filmed in Bristol and the Cotswolds, and has a well written script where the comedy comes from the story and the situation. It is sweetly funny without being overtly played for laughs. Although it’s a movie about the challenges of old age, the wealth of acting experience from the cast makes proceedings zing along amusingly. Golden Years is directed by John Miller (Living in Hope). He has mentioned that working with such an experienced cast was always a huge part of the appeal, and one factor which tempted him to write the screenplay in the first place, which he did alongside (TV presenter) Nick Knowles and Jeremy Sheldon. He specially mentioned working with Virginia McKenna – a one-time Golden Globe nominated actress, famed for roles in films such as Born Free and A Town Like Alice.